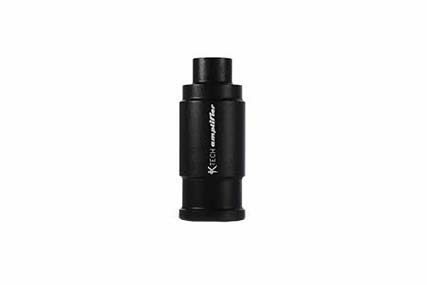 The K Tech Amplifier is designed to give a louder bang to your airsoft guns. It can amplify any type of airsoft gun, but works especially well on GBB rifles and pistols. Amplifiers are used not only to enhance the look of the gun, but by increasing the sound, adds a little more intimidation to suppressing fire. It’s loud, it’s scary and it can help your gun stand out, loud and clear from the rest!